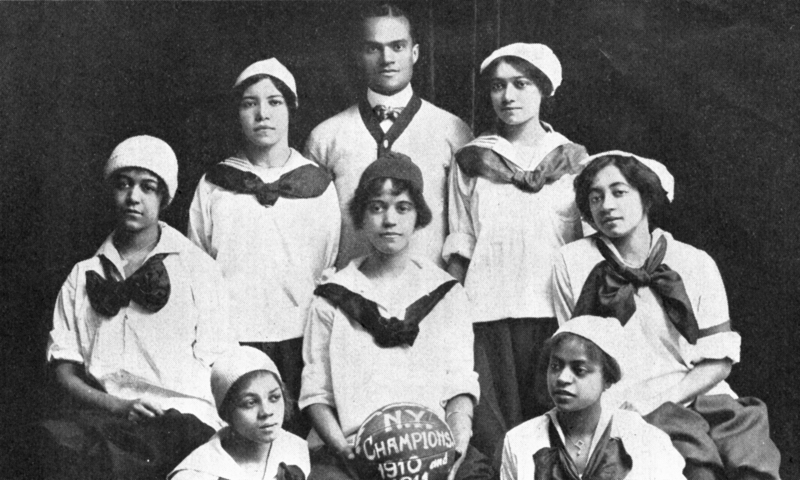 The “New York Girls” basketball team of New York City, circa 1911, was the sister organization of the Alpha Physical Culture Club of Harlem. 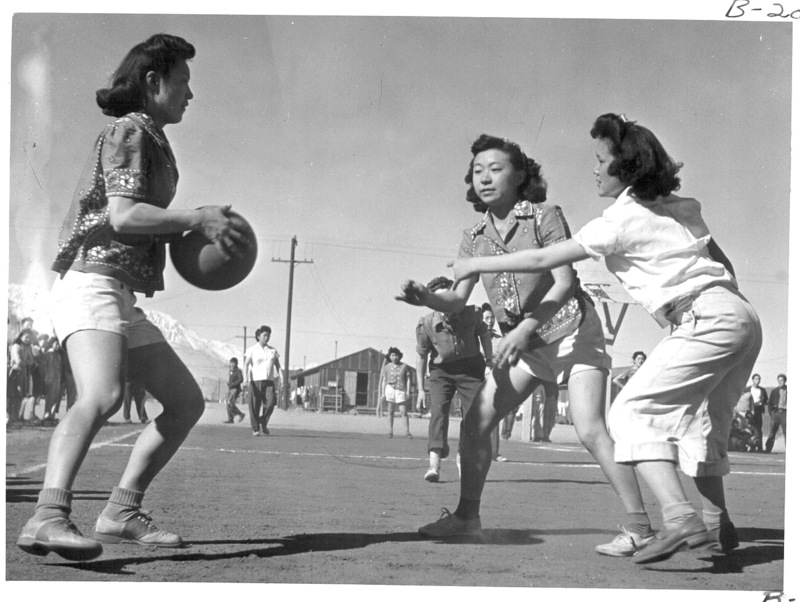 In the process of laying out and illustrating my book, Finding a Way to Play, I chose 52 photos that I’d gathered from various sources. But there were dozens more “left on the cutting room floor,” so to speak. They included pictures that I loved but couldn’t get the rights to, as well as pictures I’d taken that either were similar to others or, because they were color, would have been too expensive to justify using. 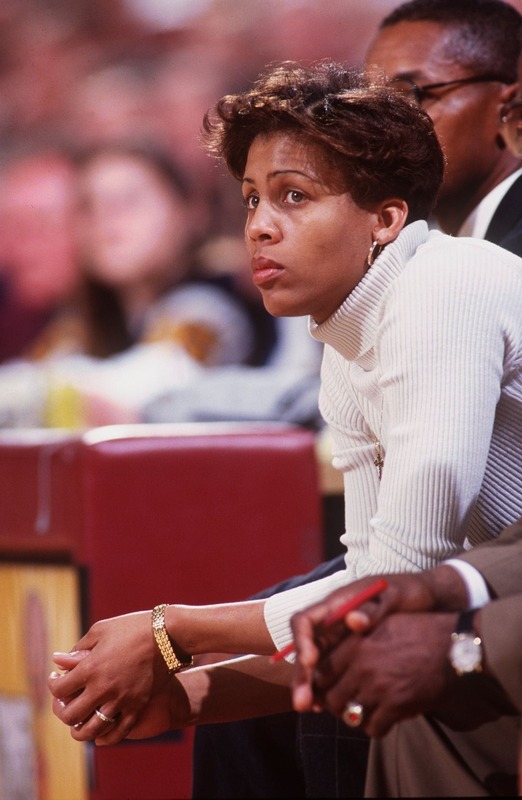 Cheryl Miller, during her tenure as coach at her alma mater, USC. book-making and to show a few of the photos that didn’t make it into the book. I also will be reading a chapter or two from my book and will have copies on hand for purchase and for signing. I hope if you live nearby, you’ll drop by. The Baxter Memorial Library is a jewel in the town where I live and it’s worth a trip just to check it out. Hi…I bought a copy of you wonderful book. 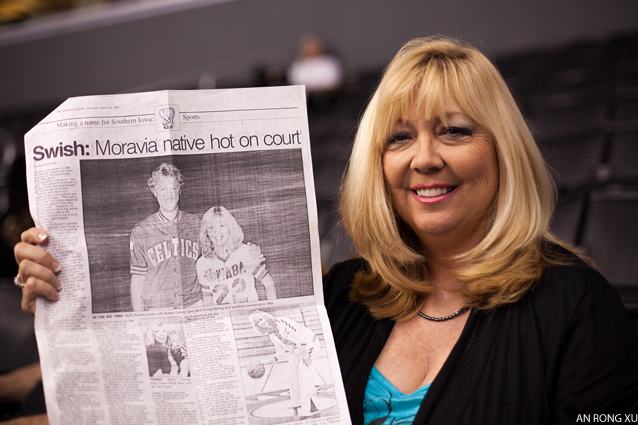 My sis in law Molly Bolin Kazmer had to twist my arm but I did it. 🙂 Nah…I needed one anyway! It looks very good.